President Obama’s war on coal is resulting in job losses in the coal industry. 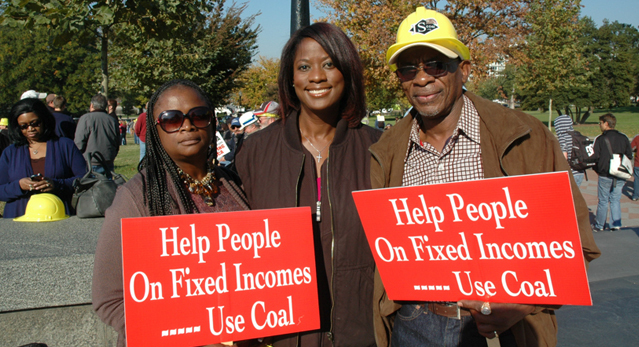 Thousands of coal miners, friends and family members traveled by bus for hours to attend the “Rally for American Energy Jobs” in Washington, D.C. on October 29. I had the opportunity to meet Mr. Jamie and Mrs. Gloria Stafford of Western Kentucky (see photo). Mr. Stafford has been a coal miner for decades and the couple traveled to Washington, D.C. out of concern for their family and future. To read more please visit here.